First off I would just like to say, what a brilliant idea! I am most definitely one of those women, who goes for the more well-known names in perfume, because I just have no idea what I want, or what smells good on me. This rarely works. Not just because the majority of the time I can’t afford to do it, but perfume smells different on different people. What smell glorious on the lady that works next to you in the office, won’t necessarily smell great on you. Something to do with PH levels in the skin and what not. The main point here is, sampling the perfumes at my own leisurely pace would be fab. 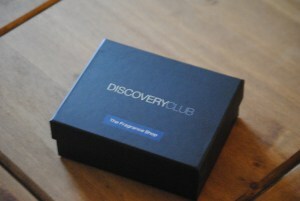 Welcome to the Fragrance Discovery Club! At only £20 a year, it’s a bargain for the amount of lovely little samples you get in your box. Not only that, but you’re saving yourself money by not buying perfumes that wouldn’t really suit you anyway. 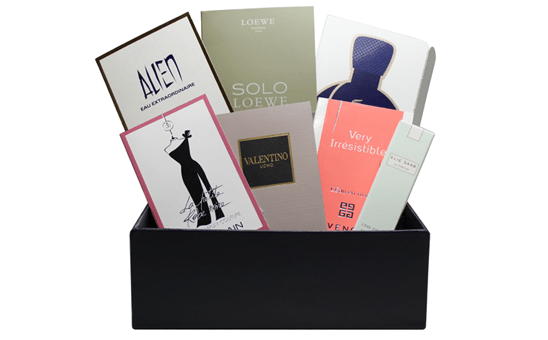 This little box really comes into its own if you don’t know what ‘Perfume Personality’ you are. 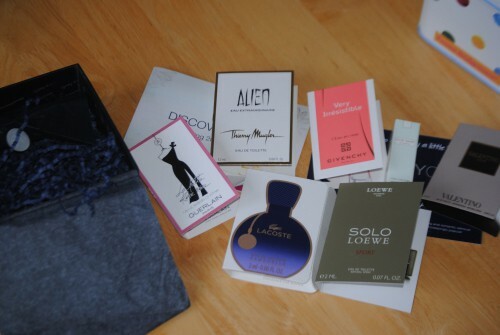 Turns out I am a lover of the darker perfumes as you will see from my review. I will be signing up for this immediately after writing this review! Plus you get £5 off any of the full size versions of the samples you buy. This, in my opinion, is the best way to find your perfect perfume (even if you do end up taking preference to the most expensive ones… Looks like we’ll be going without food for a while…)! If you love fragrance, then you’ll love the Fragrance Shop’s Discovery Club. This exciting club allows you to explore the very latest fragrance launches from the comfort of your own home. For just £5 per quarter, each edition comes with fragrance samples vials inside for you to try, details on each of the fragrances included, as well as discount vouchers so you can make some big savings on all the scents featured if you purchase them full size. 7 samples per box, with a £5 discount voucher for each fragrance featured in the box. 25% off first box orders using the code ASB25 at checkout online only, valid until 31st July 2015. Use link: Get 25% off first box. How would you rate Fragrance Shop Discovery Club ?